As promised, here’s your chance to win your very own personalized Pebbled or python leather clutch. Gigi New York makes lots of great bags with genuine leather and I’m really excited that they decided to sponsor a giveaway. As always, I’m using Rafflecopter for this giveaway and there’s a few options on how to Enter. AQUA A BEAUTIFUL COLOR OF SEEING LIFE! WOULD LOVE TO WIN TO SHINE AS THE SKY! Its so hard to choose their all beautiful. Aqua, saddle, or tangerine….. I LIVEEEEE for that tangerine color! I'm from Charm City, so I am partial to anything orange or purple. I love the red one. It adds the seductive pop to any outfit! Red is my favorite color of all of them. Adds that pop of deductive color. Thanks for sharing! I love the blue!!! My favorite is black lizard textured one! My fav color is purple so i'd love the magenta. I love the classic black ones! Either the navy or the burgundy! I could make any color work but since I have to pick one it is the turquoise. The dark purple clutch is gorgeous! I love the royal blue or burgundy. Thanks Cyn! I like the magenta and the black the best. My favorite would have to be the blue or pink I love those colors! I think I like the dark blue the best! I am torn between the white, aqua and the sand. They are all so pretty! The clutch in tangerine is gorgeous!! Hello Spring! That maroon, dark pink and black are divine! I love the blue and black ones. I like the sky blue, saddle, or black. It's so hard to pick one favorite! I like the sky blue or black pebble grain. It's so hard to pick right now but probably the brown, magenta or maybe just black. I love the classic black clutch in python. It's a tie for me: Black is always a winner but I find the Aubergine irresistible. Love the white uber clutch. The magenta and lime green are my FAVS! The hot pink is fabulous!! I love the Uber Clutch in Sand. The deep purple is my favorite, definitely unique! pink or black are both PERFECT! The ROYAL BLUE is simply beautiful. I really love the black! I like the Magenta Embossed Python color best. My favorite color is pink so I would have to go with the magenta. The fuchsia/wine color is lovely. The Black and the purple are my favorites!!! I like the taupe color! I love the magenta clutch for sure! I love, love, love the turquoise! I like the sand/beige color with the smoother leather. Thanks for this Cyn. I'm a girly girl, I like the Hot Pink! I LOVE ALL OF THEM! I think the pink is my fave though! It is very Kate Spade inspired! The magenta and aqua are gorgeous, but black goes with everything. I think I'll stick with black. I'm going through a pink phrase so the bright pink or magenta would rock my wardrobe! Thanks for having such great giveaways! OMG the magenta is to die for! Thanks so much for hosting. I hope I win! Wow, the wine, the deep blue, the black…all gorgeous! Perfect for city livin'! I like the black one..very nice. The python in purple is gorgeous! The white clutch is beautiful! I would love the Magenta All In One Bag – Embossed Python! I would love any of the colors, but classic black would be my choice! i like the taupe one! My favorite is the Aqua, thanks! I would love to have the LIME GREEN one! The "Royal" Blue is my favorite. Great pop of color, great to dress up with an after 5 black outfit or even dress down with a casual denim look. the turq is so me! I'm loving the Magenta bag! I can't decide! Magenta, aqua, and lime are calling my name! The Aqua one is PERFECT!! I'm a fan of the plum color. I really do like the black! I love plum or pink!!! Beautiful! I just bought a necklace that would match that Lime clutch perfectly! I want! I want! The orange one is stunning! I'm loving that cobalt blue! The fuchsia is my fave. It will brighten any outfit. I am a fan of black. It's my trusted color. But, that dark purple is love. The dark blue is my favorite!!!! The taupe and black are my favorites. I luv the burgundy purse! The clutches (and the colors they come in) are gorgeous. The dark purple is fabulous! I love the Royal Blue! It would be super hard for me to choose….but the girlie girl in me would go for the Fuschia or the dark purple…Magenta! Loving all the colors but my favorite would be the Royal Blue!!!!! I go back and forth between the Magenta and the Lime color. GORGEOUS. 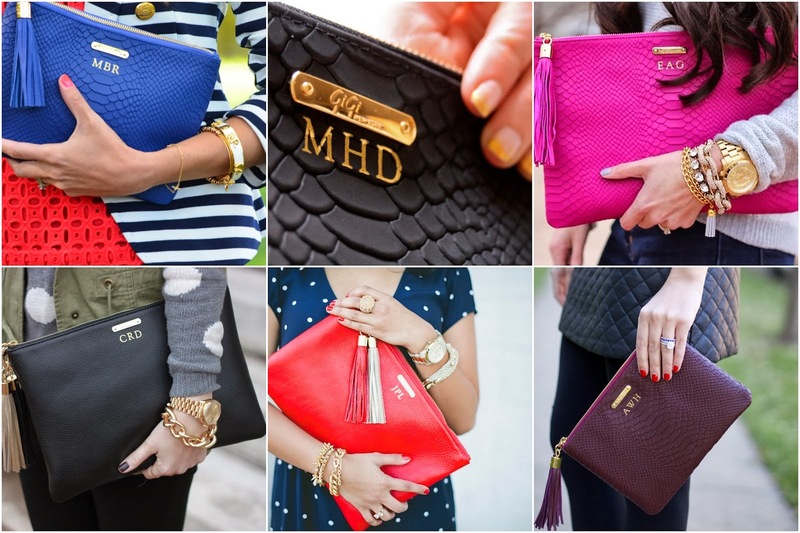 So hard to choose, but I'd have to go with the royal blue clutch as my favorite. I'm not scoffing at the oxblood though. Not at all. Can I choose two? I love the magenta color! Thank U! I'd luv luv to have the wine color! I love the aqua blue clutch! I don't see the dark purple on the site but it's calling my name! That or the magenta python. Would love to win the teal! So beautiful would love the black python! I'd get the Magenta color! would love it! dark purple or fuchsia! My favorite color clutch is the lime green! Definitely the turquoise! So bold! love the red and classic black too! So hoping I win! Desperately need the pick-me-up. I just LOVE the lime green – especially in a clutch!!! This is such an awesome give-away! Loveeeeeeee the Fuschia Pink! Good luck everyone. great giveaway, that cobalt is my favorite!! Can't choose a favorite. I love them all! I love the magenta clutch! My fav color is the turquoise blue you were holding! Gorgeous!!! And it goes so well with gold it's like.. Ugh!! Love it! I love the Tangerine color. These bags are everything. The turquoise will be gorgeous in the spring! I love your sense of style and these bags are fab! These are all rich, gorgeous colors, but I just can't help but adore the hot pink. The hot pink is fantastic. Thanks for the giveaway! OMG that pink, and that purple, and the blue also!! I almost do not want to win, because I will have a tough time figuring out what colour I want!!! 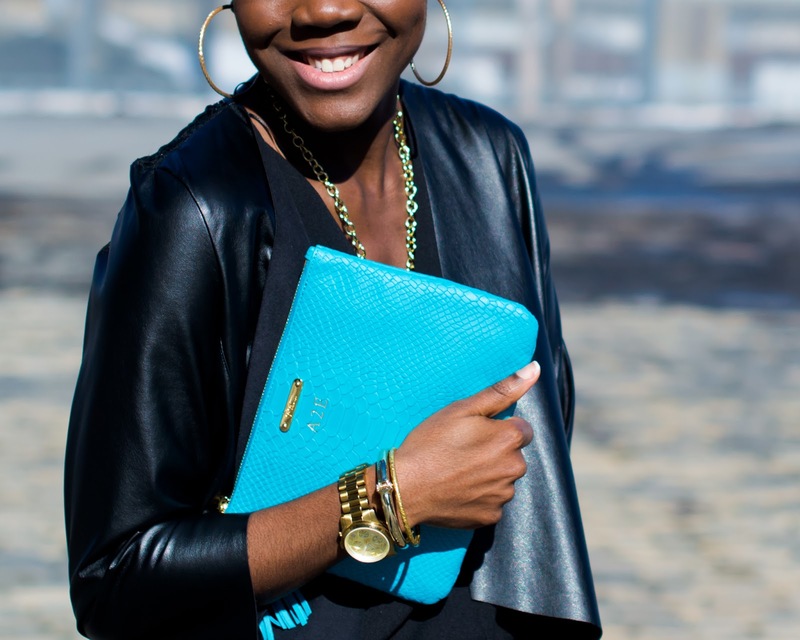 I love the aqua clutch! I'd have to say my favorite is the royal blue! Love the royal blue clutch! The black is my favorite. The dark purple or royal blue! Love the magenta and cobalt blue! Magenta & Aqua all in one bag are my favorite. Anything from giginewyork I will accept. It's hard to decide but I love the hot pink one! I adore the tan colored clutch! I like both the fuschia pink and the dark purple. That royal blue is a gem! I can't decide because the aqua and the burgundy are both gorgeous! my favorite color is pink so definitely the neon pick one! The aqua python is cute! I LOVE the dark purple!!! The aqua is GREAT and the purple is too. Not sure which I like best! I love the clutches! I'd love to have a red one. The Aqua is my favourite.